Famed physicist who boycotted Israel owed one of his greatest discoveries to theories of Israeli scientist. Stephen Hawking, the famed physicist who died Wednesday at 76, had a publicly strained relationship with Israel. 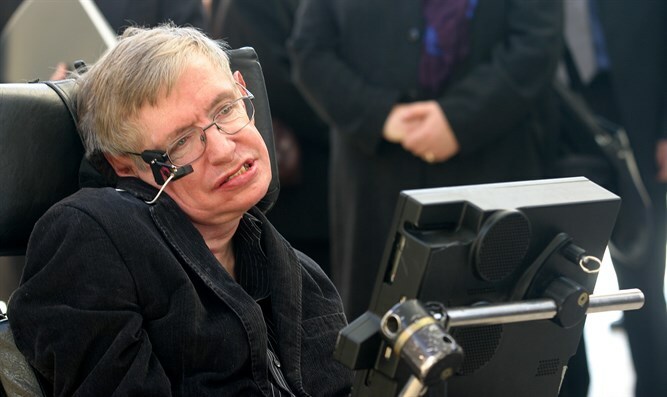 Although Hawking visited the country several times, giving lectures at Israeli and Palestinian universities, he pointedly boycotted an academic conference in Jerusalem in 2013 on what a spokesman at the time said was the “unanimous advice” of his Palestinian colleagues there. Israelis organizers felt doubly insulted, noting that the conference honored then-Israeli President Shimon Peres — seen widely as an international symbol of peace. However, Hawking has an Israeli scientist to thank for some of his most groundbreaking research. In the early 1970s, when the British-born Hawking had already done essential work on the cosmic gravitational fields known as black holes, he got into a disagreement with Jacob Bekenstein, then a doctoral student at Princeton. Bekenstein, the son of Polish-Jewish parents in Mexico, had Israeli citizenship and later taught at The Hebrew University in Jerusalem for 25 years. In his doctoral thesis, which made waves in 1972, Bekenstein theorized that black holes had entropy, or disorder in its system, and subsequently, according to the laws of physics, a temperature. Hawking disagreed, maintaining that black holes could not radiate anything and therefore had no temperature. At a conference in France that year, Hawking gathered a few colleagues and angrily confronted Bekenstein. “These three were senior people. I was just out of my Ph.D. You worry whether you are just stupid and these guys know the truth,” Bekenstein said about the event. But in 1974, Hawking proved Bekenstein’s idea through a complicated quantum theory calculation. At first he kept the calculation secret, afraid to admit his mistake. He eventually brought his discovery public — today it is considered one of his most important achievements. Today, the entropy of a black hole is called Bekenstein-Hawking entropy, but the radiation emitted from a black hole is called Hawking-Bekenstein radiation, or often just Hawking radiation. That might seem unfair, but it’s a necessary distinction, as Bekenstein said himself. “The entropy of a black hole is called Bekenstein-Hawking entropy, which I think is fine. I wrote it down first, Hawking found the numerical value of the constant, so together we found the formula as it is today,” he said. Some believed Bekenstein, who wore a kippah and won Israel’s prestigious Wolf Prize in 2012, should have won the Nobel Prize for his contributions to science (the prize is not awarded posthumously). But his work and connections to Hawking live on: Hawking said he wanted the Bekenstein-Hawking entropy equation engraved on his tombstone.